If you have just one single day to spend in San Francisco, you’re in luck. It’s a dense, walkable city, so you can easily make the most of a short stay by sticking close to the center, skipping day trips, and diving into the tried-and-true attractions. 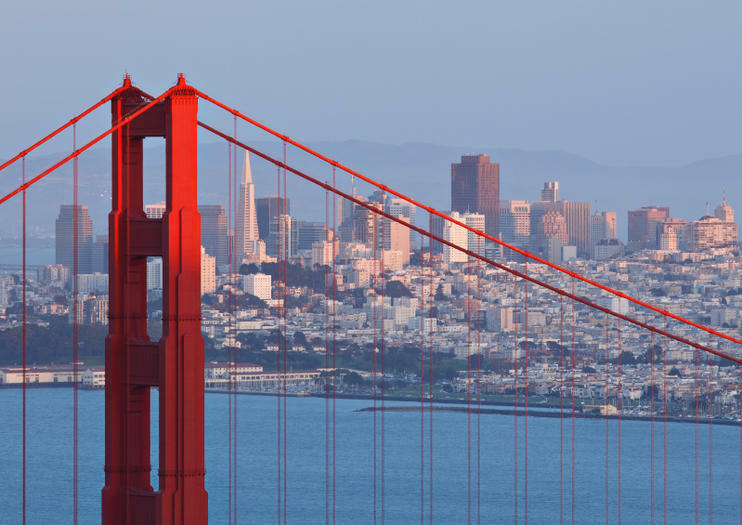 Here are some ways you can best experience San Francisco in one day. Start your day at the Ferry Building, where guided Ferry Plaza Farmers Market tours are a great introduction to the city’s food culture outside the restaurant circuit. The market spills out from the Ferry Building onto the concourse, where chefs, locals, and visitors come to gather ultra-fresh ingredients for their meals. After sampling the food, check out the building itself, a 19th-century landmark with a great nave and 4-faced clock tower. If you also want to see Fisherman’s Wharf or Market Street, the city’s restored streetcars run from here to both places. There are several ways to quickly cover a lot of ground in San Francisco. Hop-on hop-off bus tours are a convenient way to get oriented and see a lot—from the Golden Gate Bridge to the Palace of Fine Arts and Lombard Street—in a short amount of time, while bike tours allow you to get outside and catch views of the Golden Gate Bridge. The cable cars are another option—although mainly frequented by tourists and stray commuters, they’re fun relics that have been using the same cable system since the 1870s. For the adventurous set, seaplane and helicopter tours showcase the whole city—and more—from above in half an hour or less. After you’ve said hello to the sea lions and taken a spin on the carousel at Fisherman’s Wharf, you have options. Visit the Musée Mécanique or Maritime Museum for family-friendly outings, or opt for a Segway tour to get closer to the Golden Gate Bridge and journey as far as the Marina district. Once evening settles in, say goodbye and goodnight to the city by getting to know Chinatown and North Beach on a nighttime culinary walking tour, or dance to live music while enjoying San Francisco Bay views on a dinner cruise. Tour San Francisco's Ferry Building on the original tour established in 2004 with a culinary expert guide during this 2-hour excursion.